Many homeowners rely on septic systems to dispose of wastewater from their home. In order to ensure efficient operation, septic tanks must be pumped out by a residential septic tank pumping company. At VAC-TEC LLC, we can develop a custom residential septic tank pumping plan for your Kirkland, WA home. We care about our clients—we want them to save time, money, and hassles, so we will always educate them on how to keep their septic system working efficiently. We are happy to meet all of your residential septic tank pumping needs in Kirkland. With regular, commercial septic tank cleaning services, you can avoid sudden, costly septic problems that can disrupt your business operations. We understand that commercial septic tank cleaning is something you cannot do on your own. We also know that finding a professional commercial septic tank cleaning company is not an easy task. 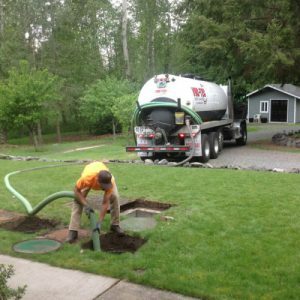 We are experienced in providing routine commercial septic tank cleaning services in Kirkland and the surrounding areas. Avoid the headaches with our septic services that include everything, from septic tank pumping to cleaning and repairs. Over time, sludge and debris accumulates in your septic tank. If you do not seek residential or commercial septic tank cleaning services, you could experience septic backups or clogs. We understand that among all the emergencies a property owner may face, a septic emergency is among the most inconvenient. That is why we provide emergency residential & commercial septic tank cleaning services in Kirkland and the nearby communities. 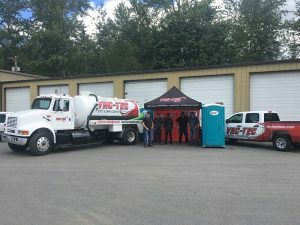 To find out more about our commercial and residential septic tank pumping services in Kirkland, feel free to call VAC-TEC LLC at (206) 339-0039.